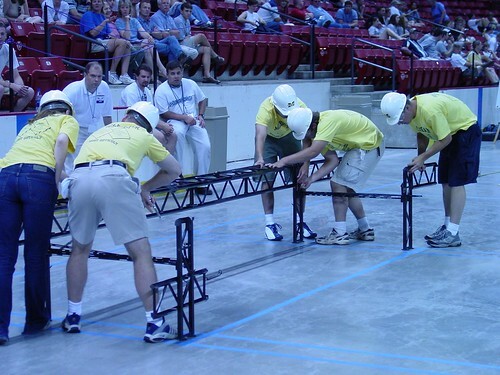 It may not make the ESPN highlight reels, but the participants in the ASCE/AISC Student Steel Bridge Competition place as much pride in their teamwork as do their schools’ football teams. 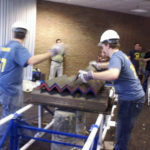 This inter-collegiate challenge requires civil engineering students to design, fabricate and construct a steel bridge. Those who participate fully in the project learn many useful skills, including management techniques, steel design & fabrication and how to sequence construction for maximum efficiency. At this time point in the season, teams are busy recruiting members and trying to raise money to cover their expenses. They’re reading the rules and looking for the annual changes that make each year’s design necessarily different. Some pioneering teams may have already begun the design process. Despite the busy extra-curricular and academic schedule, the captain of the University of Michigan Steel Bridge Team, Steve Wagner, took the time to answer a few of my questions. 1. In one sentence or two sentences, how would you describe the aim ofthe ASCE-AISC student steel bridge competition? A: The goal is to have students design, fabricate, and assemble a 1:10 scale model bridge according to yearly specifications. It requires students to think critically and work as a team to complete a goal. 2. Who participates on the team? Underclassmen or upperclassmen? All civil-structural majors? A: The team is comprised of almost all underclassmen civil engineering majors. 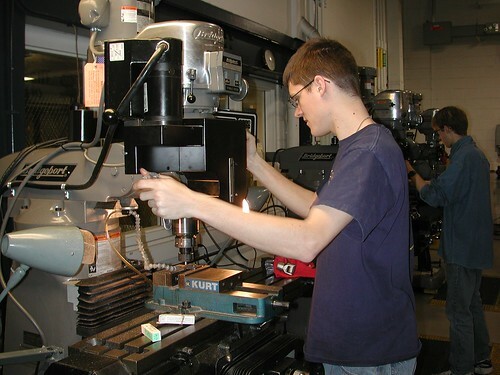 While the majority of the team are civil majors, other majors such as mechanical and computer science engineering majors have been on the team. 3. How do you encourage new students to join the team? A: We recruit at Michigan Engineering’s events such as Engineering Welcome Week and Northfest. At these events, most project teams and societies set up tables and talk to students. We also get new members from word-of-mouth (friends of friends). 4. Why did you join the steel bridge team? A: It was an easy way to get involved with something in the civil department outside of class. It was also a way to learn new skills and employ concepts learned in class. 5. How much time do you expect to commit to the bridge team over the course of the year? Is it worth it? A: During fabrication in the winter we might be in the shop for 5-10 hours a week. We always say you get out what you put in and to us the finished product is worth all the work. 6. How does team leadership and technical knowledge get passed down year to year? A: Most of the technical knowledge is learned in class. The former team leaders are always willing to help with administrative questions from the new leaders. 7. Last year the team finished 23rd nationally, did that meet or exceed your expectations? What is your goal for 2010? A: If we were told at the beginning of the year we would finish 23rd nationally we would have been excited. Naturally, as the year goes on we gained more confidence in the bridge and expected to do better. We hope to win our region this year and improve on our 23rd finish from last year. 8. Who are your main rivals in the region? …nationally? A: Our main rivals from our division are Michigan Tech and Lawrence Tech. The three of us are consistently at the top of our region. 9. What new challenges do this year’s rules present? A: This year the bridge is to be loaded inside of where the piers will be potentially creating a twisting moment. This is also a problem because if we decide to construct a truss, it can not be directly underneath the loading. 10. What is your schedule for completing all the work in time for the regional contest? A: We hope to have all of the fabrication work done before spring break at the end of February. This will give us enough time to practice assembly.